PLEASE SHARE THE 7 TRUTHS CAMPAIGN ... OR GOFUNDME! I have found THE HIDDEN RECORDS that can save the world from a pending war and hardship that is unfolding right now. This quest has reached a point that requires urgent publishing and publicity for its survival. By definition it is a ‘publishing’ project for my co-writer, USA campaign manager and I, and is in line with the parameters of the GoFundMe initiative, but in terms of content, it holds 7 keys to the greatest truths to save humanity. The power to share these lost truths is just as important as the actual funding itself! So even if on a tight budget, you too can make a difference by simply sharing and spreading the word. I am Wayne Herschel, an author come truth seeker and just another ordinary but active soul determined to help mitigate the current world crisis. A crisis in which at least half the world’s population is already having to endure dire suffering and is in desperate need of a better way forward. Please see the video here. There is also a full article story on this 2019 quest with more proof of claims with images and substantial source links for the seven truths as well as a Paypal option too at the bottom of the page. The world is in crisis and very few are aware. How many realise how close we are to nuclear midnight? How many have ever studied the grassroots cause for the escalating crisis? The actual cause goes right back to the beginning of civilisation. The world needs to identify the cause and unite to shut down modern-day manifestations of it. The human origin truths reveal ALL race are equal and sacred! On the outset of my quest, it never occurred to me that the revived truth would be forbidden in this modern day and age. I learned very quickly that the secrets that can literally save humanity are not in the best interests of the group known as the 1%. This year alone, the losses I incurred have been staggering, especially on uploading the alien geoglyph and its ties to my discovery/proving Atlantis. 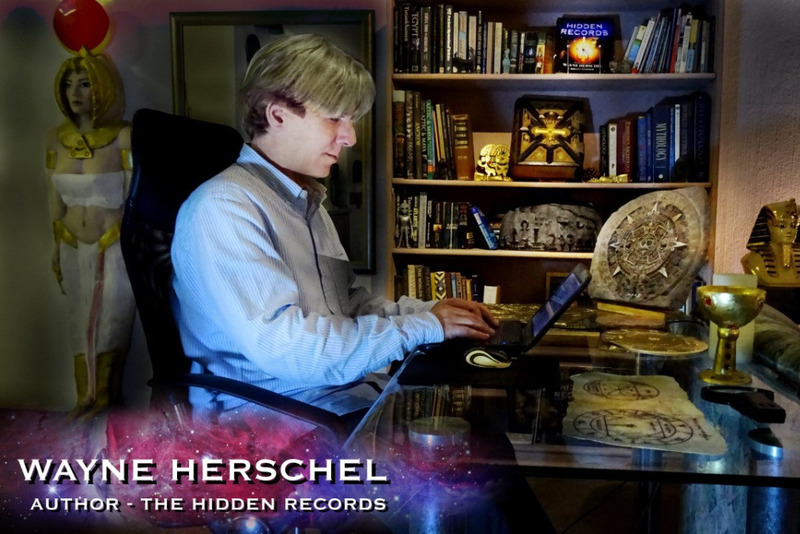 Since publishing my first book, The Hidden Records in 2003, even large portions of my ongoing research material that I make available free view online have faced unexpected protocols to make it invisible. The aforesaid book invariably comes up as non-existent or as having been removed when bookstores search for it on their internal inquiry systems. Its credibility is sadly slipping away into chaos as big-sponsored media manipulators now begin to make their last onslaught to plagiarize parts of it while twisting its sacred meaning into chaos. Here is a shocking new insight: Anyone who does not know the secrets of his or her real physical and spiritual origins is vulnerable to the suggestive hypnotic mind-control manipulation embedded in all media. News and seemingly harmless advertising with propaganda content, constantly flashing very short bright clips, influence your belief without you even realising that it is happening! A soul that does not know who it is, is a soul easily manipulated. It is time to lift the veil and awaken the masses. There is more in the full article. I firmly believe that the 7 truths need to be made freely accessible online, since real truthers do not put a price on sacred revived teachings. Over the years, books and DVDs on these 7 truths have been an imperative part of the journey to generate funds and protect the meaning and secure copyright, obviously only accessible to those fortunate to be able to afford them. For greater affordability, I even targeted low prices simply to be able to keep my quest alive. I have also avoided the monetisation of my website and youtube with adverts because the adverts are destructive and distracting. Many are aware of protest marches that have swept the world in waves. With all that is going on in the world being exposed and unfolding at once, this will inspire an even more desperate human uprising on a level never seen before. HOW MUCH FUNDING IS NEEDED? Although I have set a high funding target, it is truly unknown how much the project really needs to keep the quest above water as the chaos increases. For now, even a few thousand dollars a month will keep all wheels turning. My target is based on advice by analyst experts who believe that my discoveries need advertising and film-maker projects to get it to the next level. Time will tell what is possible! And potentially far sooner with your help! Nearly 4 decades ago, I had a near-death experience with my pulse not measurable for nearly 20 minutes during a motorcycle accident. I’m certain that at the time I left my body as a soul and went down the proverbial tunnel to the Place of Light. Driven with a sense of responsibility in bringing it forward, which the world so desperately needs to save humanity in crisis. Reviving the 7 truths, but with a pledge that they will never be forced on anyone! and BE THE CHANGE that you wish for! Full article on the GoFundMe objectives and referenced sources. We of the grand human Homo sapiens genus. We had grand cosmic beginnings here on Earth and on Mars before a planetary collision in our solar system ended the Red Planet. We see the asteroid belt as evidence. The debris ended Mars and caused a great flood on Earth, reducing humanity back to the Stone Age. The truth that all races are sacred and equal is one reason that all historical monarchy-ruled kingdoms throughout history have been covering it up. But there is another reason. It would end the chaos that is being taken advantage of today in the name of profit. The truth can set us free. Please consider the value of my struggle and help give its purpose to uplift humanity the all-important exposure that it so desperately needs in the times we are living in. Time is running out! 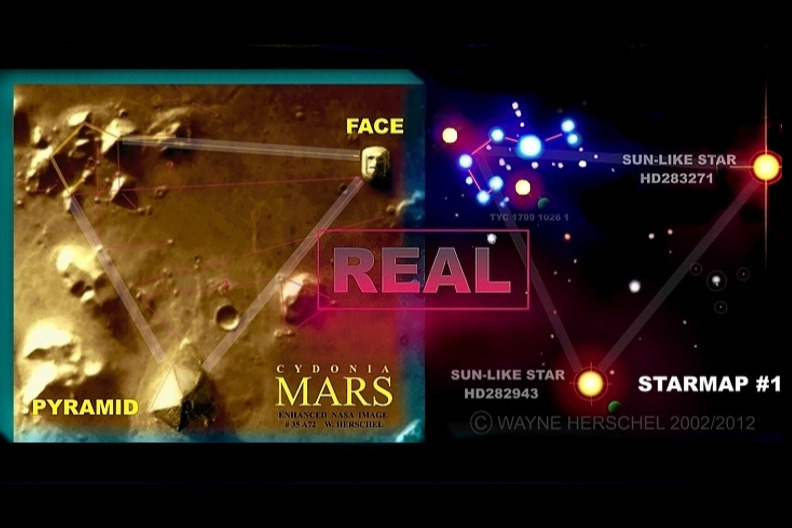 Look how all stars small and large correlate with the monuments on Mars. This correlation occurs in 35 solid ancient cases in a host of ancient civilizations! As is the case on Mars, there is also a face monument on the border of Israel!